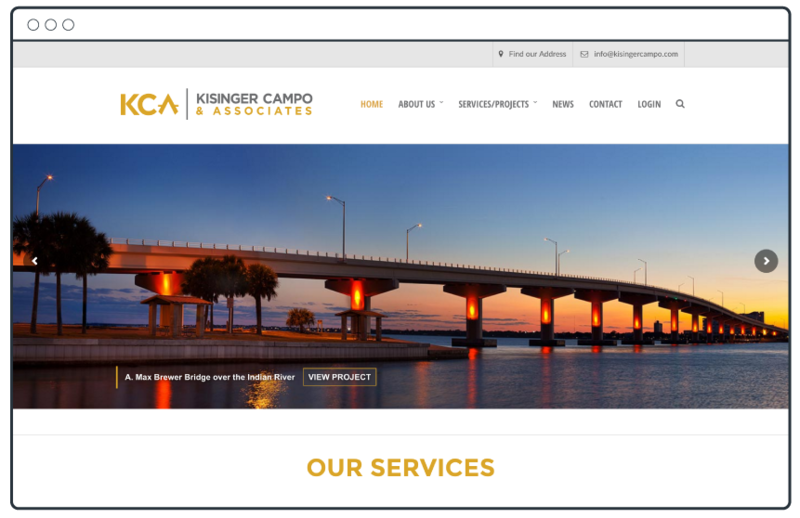 Kisinger Campo & Associates hired Grafx Design to completely overhaul its brand and marketing elements. 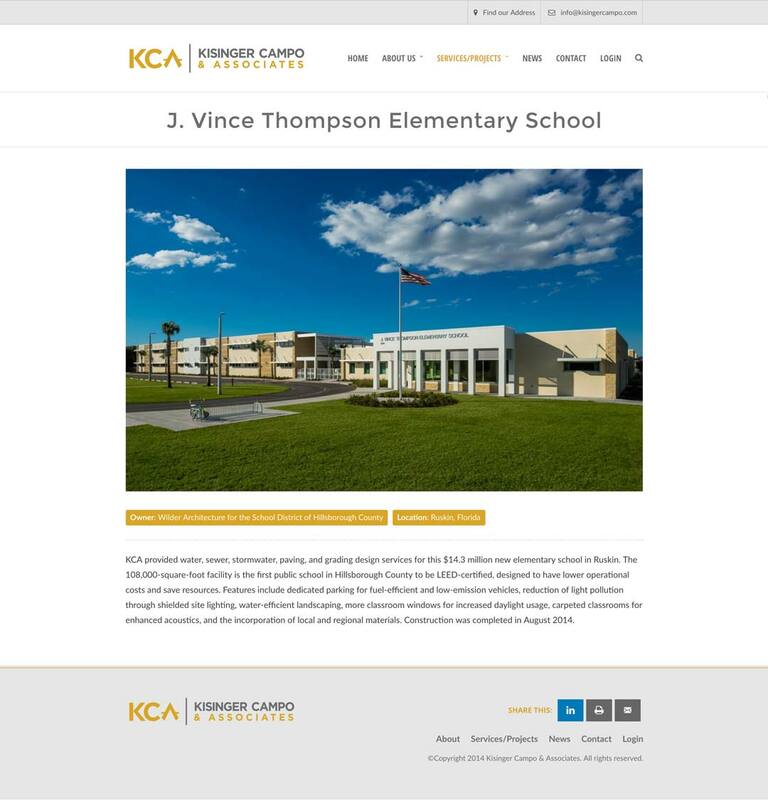 Kisinger Campo (KCA) is a nationally recognized engineering firm. While KCA’s portfolio of projects is incredibly impressive, the company had an outdated brand that, at the time, did not justly represent the firm as an industry leader. Grafx Design consulted with Kisinger Campo to develop an end-to-end re-branding strategy. This included recreating the KCA family of logos and outlining brand standards and usage guidelines. 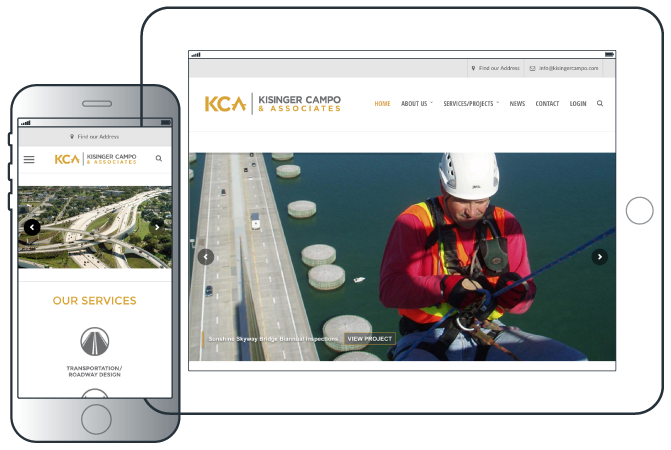 Next, Grafx Design worked with KCA to develop a brand new website. 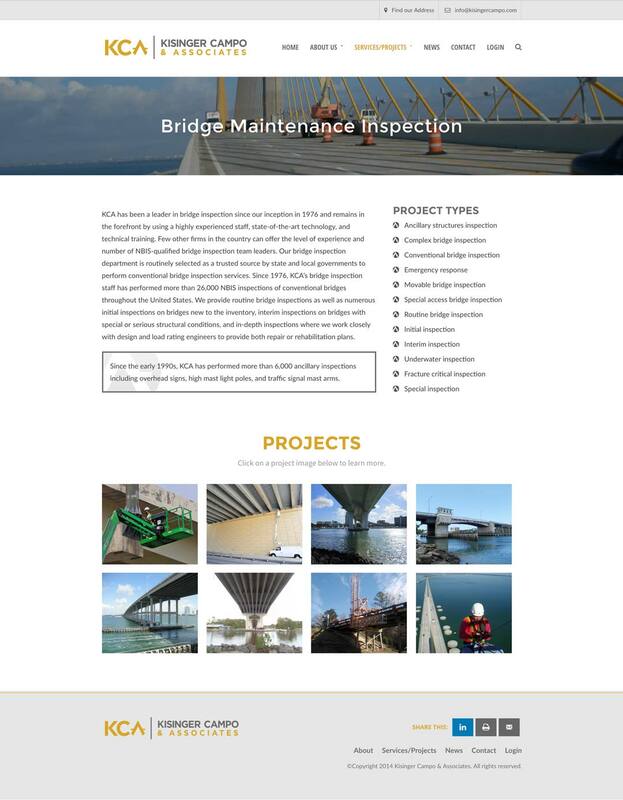 This process included prioritizing the content, creating an organized site map and wireframe, site page designs and full responsive coding and development.